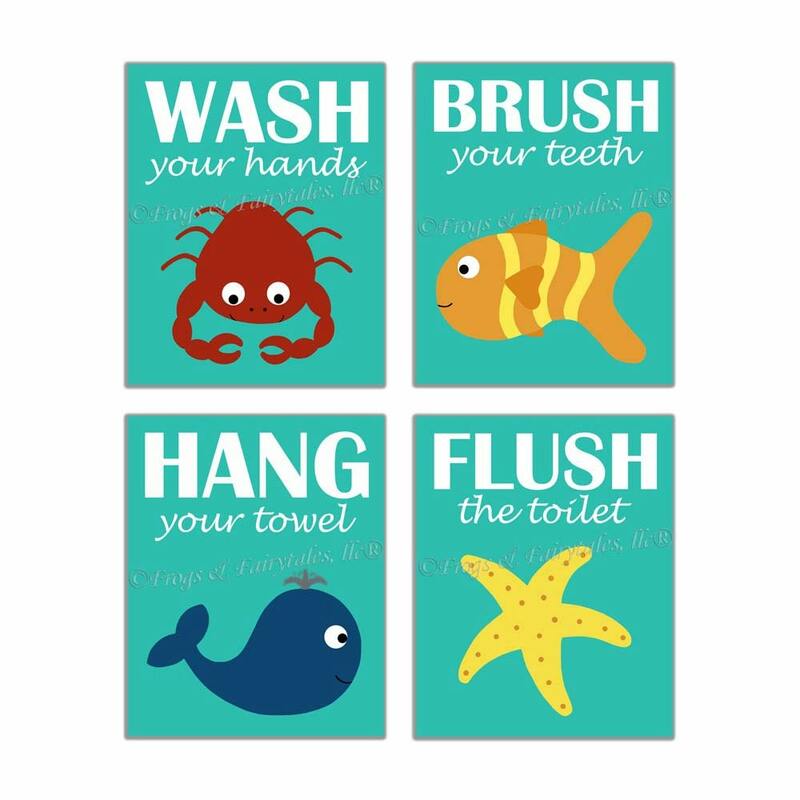 This ocean themed bathroom canvas wall art is the perfect addition to your child's bathroom! Picture 1 shows a set of 4 prints with a white an gray chevron background, and picture 2 shows the same set with an aqua background. 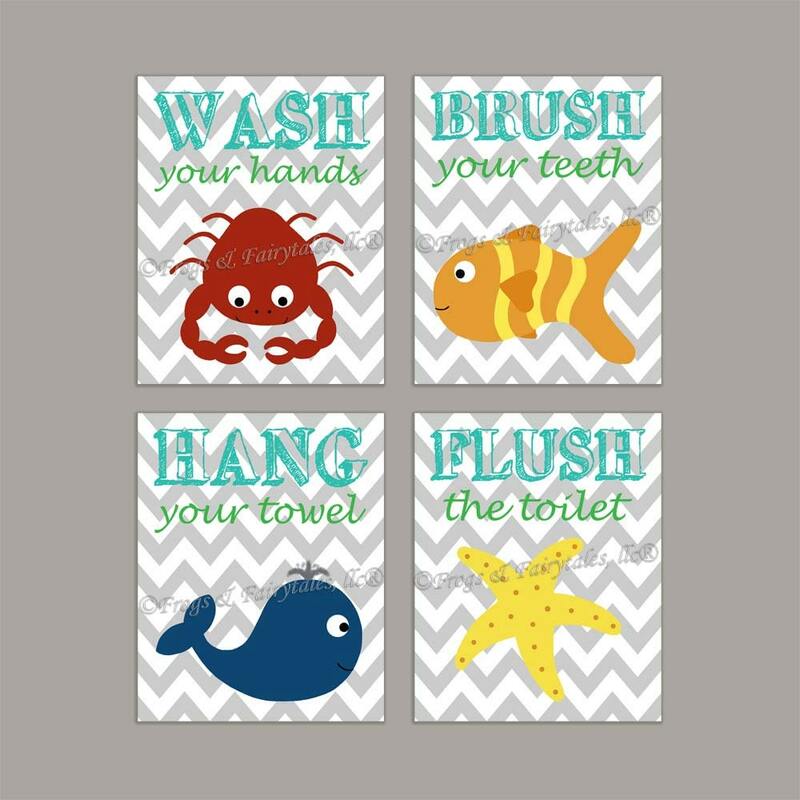 You can customize these prints by changing the background color. I can also change the colors of the wording as well. Just leave any requests in the note to seller section of your invoice.